Other than the squirrels, we had a wonderful visit to a floodplain that has been preserved for future generations. Eighty percent of this amazing park floods about ten times a year [hence why sections of the boardwalk are 8 ft above the ground]. 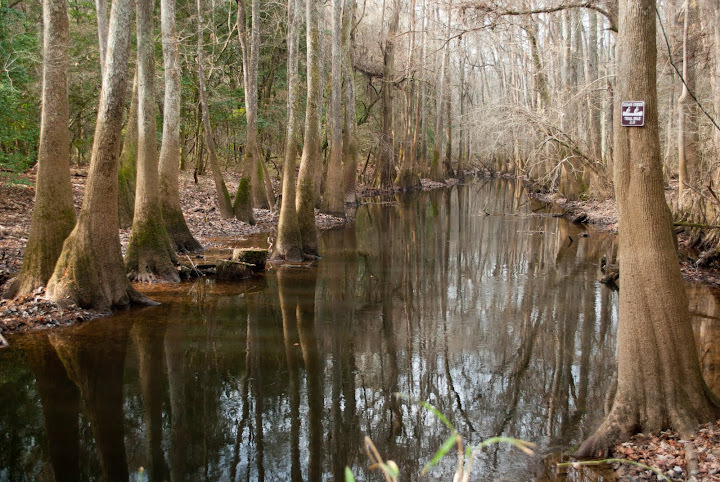 If you ponder it, many National Parks feature erosion [Grand Canyon, Badlands, Bryce, Yosemite, Arches, etc] and only a few are dominated by deposition, but Congaree is a story of both, washing away and depositing sediments. There are plenty of trails to walk or canoe in the park. 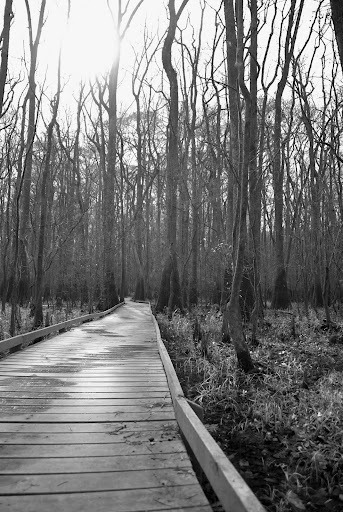 The walking trails are both on boardwalk and on the ground and are great for spotting birds, looking at large cypress and tupelo trees, and just using your legs! Even though you are on the boardwalks, it doesn’t mean that you’re separated from the natural world. There is plenty of nature LIVING on the boards and if you look closely, you’ll spot a few neat critters, I am sure! The neat story behind this park is that it was ‘saved’ from chainsaws. The virgin timber was in high demand but the area had, up until that point, been relatively untouched [sound like ANWAR??]. 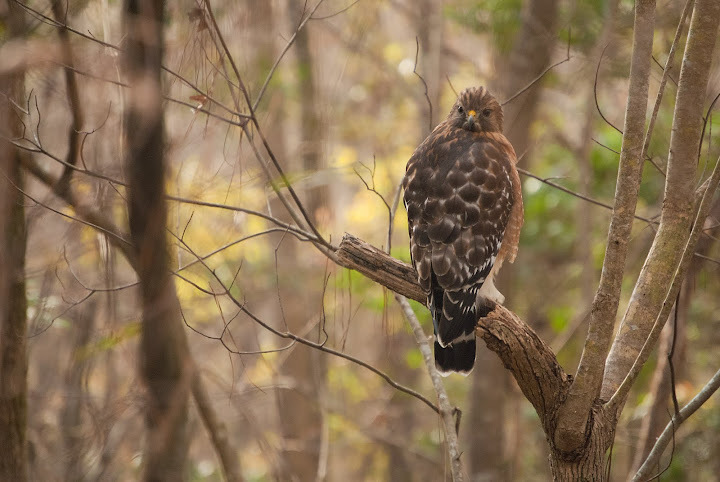 Through the conservation efforts of one man rallying the community, the trees were saved and steps were taken to preserve what is now the largest area of old-growth floodplain forest in North America. 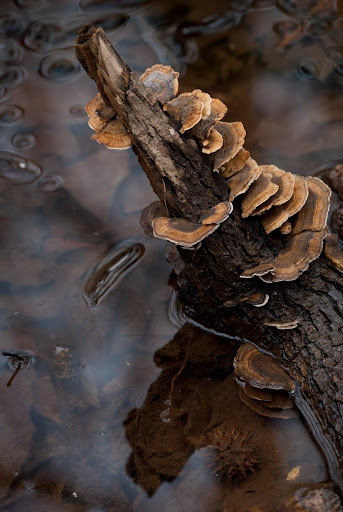 Lots of walks, talks, and guided canoe trips are offered, even in the winter. For mosquito season [it is a swamp, of course! ], they have a screened-in patio with seating that is apparently for interpretive talks. And to take the guesswork out of how many mosquitoes are out there, they have a “mosquito meter” above the bathrooms, ranging from ‘All Clear’ to ‘War Zone’. The visitor center is large, lovely, and has lots of neat information [ignore the exhibits mentioning it as a National Monument–it just recently became a National Park]. The moss marks the average flood line. 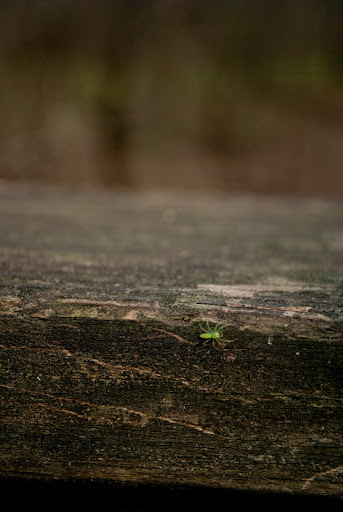 A tiny Magnolia Jumper patrolling the boardwalk. 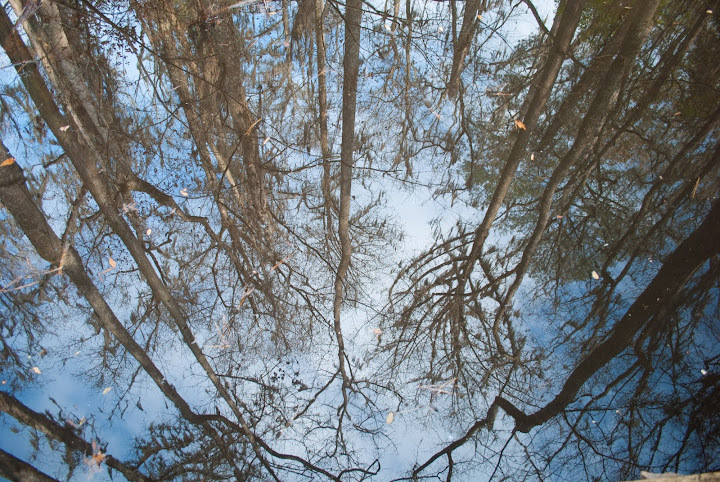 Reflections in the swamp's blackwater. 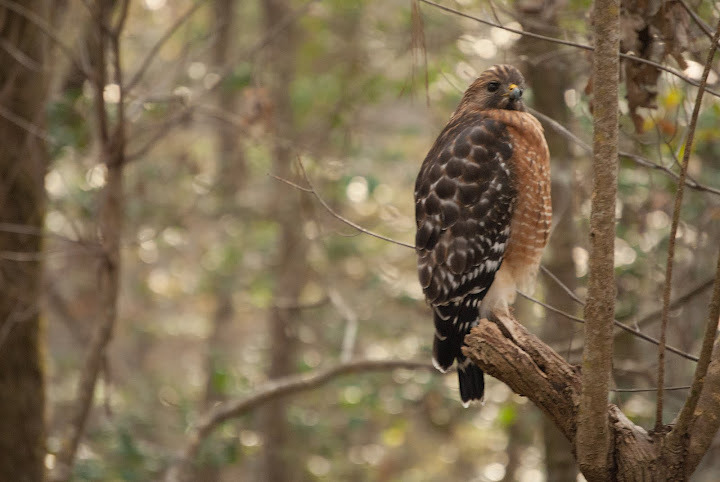 A beautiful Red-shouldered Hawk that didn’t mind us.